Eating too much salt lead to the deaths of 2.3 million people across the world in just one year, new research says. Researchers used nearly 250 surveys of salt intake that were part of the 2010 Global Burden of Diseases Study that included 303 medical institutions from 50 countries around the world. 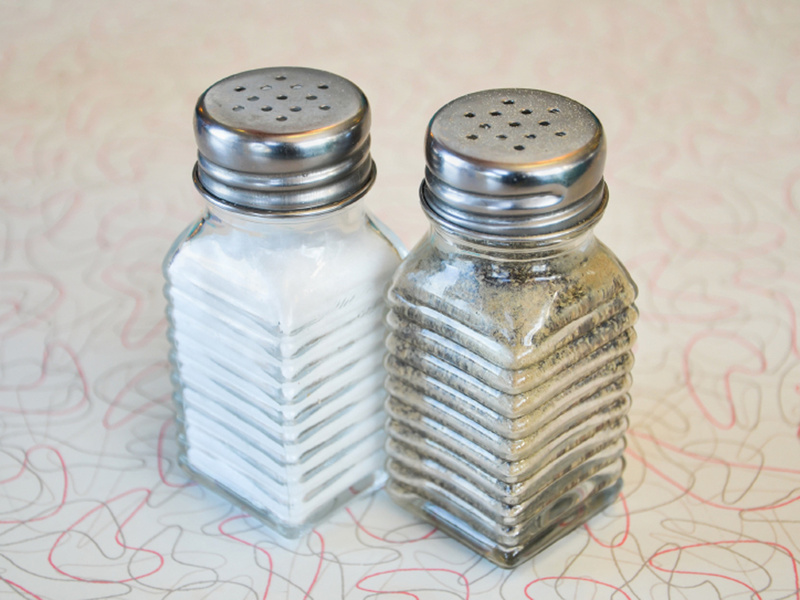 To determine the number of deaths tied to salt intake, they used that survey information along with an analysis of more than 100 medical trials that measured the role sodium has in increasing blood pressure and risk for strokes and heart disease. Researchers then compared the heart risks to those found in people who consumed 1,000 milligrams of sodium per day or less, which the researchers called "optimal" intake. The U.S. government recommends a cap of 2,300 milligrams of sodium per day, while the American Heart Association recommends no more than 1,500 milligrams per day to avoid risk for heart disease and stroke. Sixty percent of cardiovascular deaths linked to salt intake occurred in men, and 40 percent occurred in women, the study showed. Heart attacks were responsible for more than 40 percent of the deaths, strokes were behind another 40 percent and other types of heart disease accounted for the rest. Nearly one million of all these deaths -- 40 percent of them -- were considered "premature" because they occurred in adults younger than 69 years old. While the United States historically consumes a lot of salt -- with previous American Heart Association surveys showing Americans consume on average 3,400 milligrams per day -- this study found 84 percent of all deaths occurred in low and middle-income countries. The U.S. ranked 19th out of 30 countries with 429 deaths per one million adults linked to eating too much salt -- or about one in 10 U.S. deaths. The top three countries with the highest death rates cited to be from salt intake were Ukraine (2,109 deaths per one million adults), Russia (1,803 per one million adults) and Egypt (836 per one million adults), the study found. The fewest deaths linked to salt were reported in Qatar (73 per one million adults), Kenya (78 per one million adults) and the United Arab Emirates (134 per one million adults). The findings were presented at the American Heart Association's 2013 Scientific Sessions in New Orleans, and are considered preliminary since they've yet to be published in a peer-reviewed journal. "National and global public health measures, such as comprehensive sodium reduction programs, could potentially save millions of lives," Dr. Dariush Mozaffarian, lead study author and co-director of the Program in Cardiovascular Epidemiology at Brigham and Women's Hospital and Harvard Medical School, said in a statement. The American Heart Association urges people to curb their salt intake and be away of the "salty six," which refers to the six common foods that comprise most of the sodium in American's diets. Those foods are: breads and rolls, cold cuts and cured meats, pizza, poultry, soup and sandwiches. Dr. Steven Nissen, chair of cardiovascular medicine at the Cleveland Clinic, told Everyday Health that the study was flawed. "They're trying to extrapolate millions of death based upon salt intake, but it's not based upon any data on mortality and salt," he said. "It's also based on an extrapolation of the effect of sodium on blood pressure, which is a very big reach, and not a reliable estimate of the burdens of salt."